The following figure shows a simplified block diagram of the NI USRP-2953R. The signal path is duplicated for each of the two channels. The RF switch allows transmit and receive operations to occur on the same shared antenna. 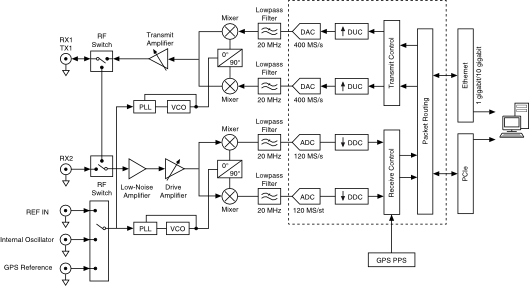 On the NI USRP-2953R, one antenna is designated receive-only.